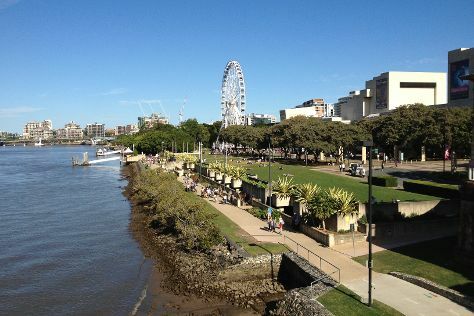 You'll find plenty of places to visit near Gold Coast: Brisbane (South Bank Parklands, Lone Pine Koala Sanctuary, & more). Spend the 17th (Mon) exploring the fascinating underwater world at Sea World Theme Park. There's still lots to do: get in on the family fun at Warner Bros. Movie World, get outside with Pelican Feeding, kick back and relax at Surfers Paradise Beach, and enjoy breathtaking views from SkyPoint Observation Deck. For ratings, traveler tips, where to stay, and tourist information, go to the Gold Coast trip itinerary tool . Expect a daytime high around 24°C in June, and nighttime lows around 13°C. Cap off your sightseeing on the 21st (Fri) early enough to travel back home.